Custom Personalised/personalized Cufflinks - Father of the Groom / the bride and Wedding Date in Lavender color or Custom Color of your choice. 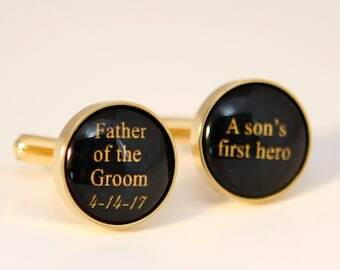 Pefect memorable wedding gift for dad. 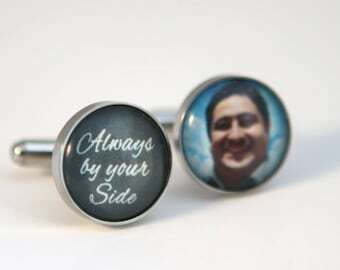 Unique groomsmen gift ,wedding favors for guys, gift for men for birthday gift, anniversary or any occasions. 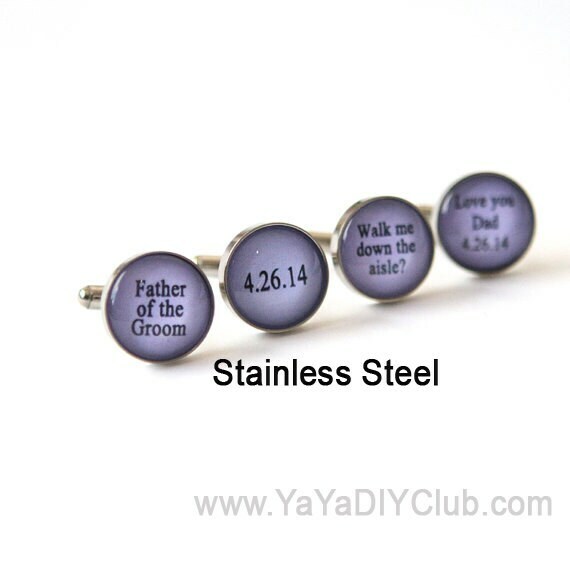 This is a listing of 1 pair of custom cuff links.